June 26, 2013 – Europe Airpost is the first French airline to receive the approval to operate its fleet of Boeing 737 aircraft with a paperless cockpit based on a NavAero Class 2 Electronic Flight Bag (EFB) that features Lido/eRouteManual, the electronic navigation chart solution from Lufthansa Systems, and other applications such as a performance software. This will enable the airline to eliminate most of the paper documents used in the cockpit. Company forms, operations manuals, technical documentation and up-to-date navigation charts will then be available electronically. 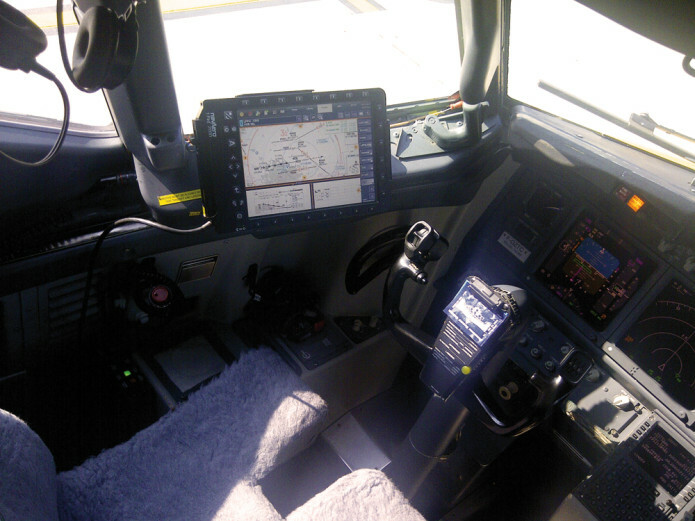 The software of the EFB solution also handles connections between applications on board and on the ground, automatic updates and reliable data synchronization. “As the person responsible for our flight operations, I can be certain that the EFB 2 solution from Lufthansa Systems gives every crew member instant access to reliable documentation and the latest operational data,” said Philippe Lonnoy, Director of Operations at Europe Airpost. Lido/eRouteManual is structured clearly, is very reader friendly and at one glance provides pilots with all the information required for safe flight operations. The navigation charts are generated directly from the Lido navigation database. The solution optimizes the information processes in the cockpit, which reduces the crew’s workload and contributes to flight safety. More than 24,000 pilots already benefit from Lufthansa Systems’ navigation charts when planning their flights. The use of the EFB and the corresponding elimination of weighty printed manuals in the cockpit helps Europe Airpost save fuel. At the same time, printing and logistics costs are eliminated, which also eases the burden on the environment. The nearly paperless cockpit therefore is an important step towards efficient, environmentally friendly flight operations. “As the crews have been using our paper-based navigation charts for quite some time, they benefit from the identical structure and layout of the electronic charts, which facilitates the migration. This integrated approach underlines our drive to best assist our customers in optimizing their business processes,” said Marco Cesa, SVP Regional Management EMEA at Lufthansa Systems. Europe Airpost, a French airline member of the ASL Aviation Group, is a unique airline company that operates in two distinct segments: leisure and charter flights for passengers and freight transportation for mail and express freight operators in Europe. It is the world’s largest operator of Boeing 737-300 QS, convertible aircraft that operate as passenger aircraft by day and freighter aircraft by night. Europe Airpost is also the first French regional charter company. It transports annually 660 000 passengers and 76 000 tons of freight. The airline has around 600 employees and operates a fleet comprising 16 Boeing 737 aircraft. In 2012 Europe Airpost posted a turnover of EUR 236 million. Lufthansa Systems provides consulting and IT services for selected industries and has a leading position in the global aviation industry. The wholly-owned subsidiary of the Lufthansa Group offers its customers the entire range of IT services, including consulting, development and implementation of industry solutions as well as operations. With its head office in Kelsterbach near Frankfurt, the company operates a global data center network. Lufthansa Systems has offices in Germany and 16 other countries and employs about 2,800 people. In business year 2012, Lufthansa Systems recorded revenues of EUR 609 million.